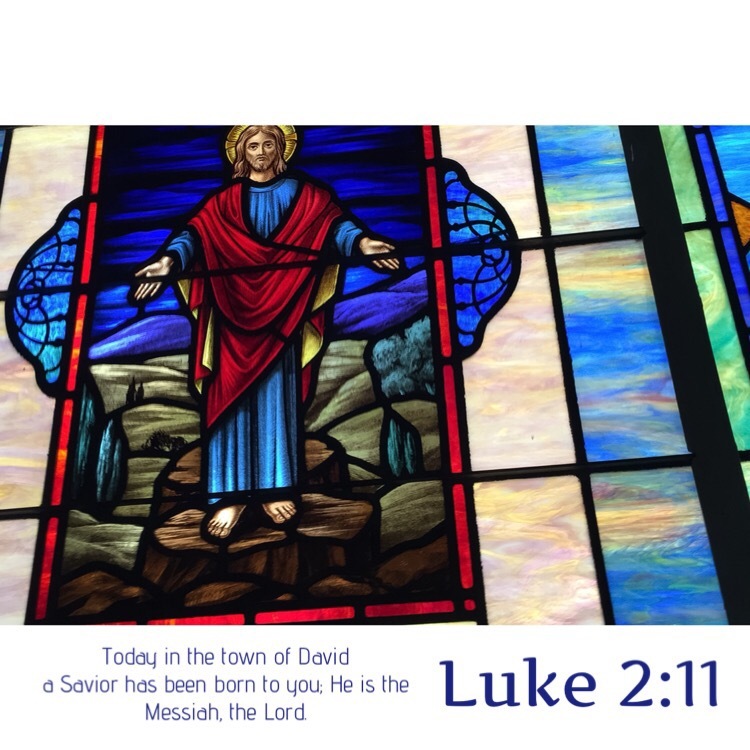 This morning, after the Christmas Day church service was over, I paused as I was walking out by a stained glass window. It was depicting Jesus, our Savior. His arms were outstretched and welcoming. On a night in Bethlehem, Jesus was born. When that happened, everything changed. Everything changed for all people everywhere. Death forever because of sin with no redemption would now be only for those who choose not to believe in Jesus. When Jesus was born, so was the only way to escape the punishment we deserved. Jesus would one day pay the penalty for our sin, offering us eternity with Him. A Savior—One who could save us—had come to the earth as a baby. Today in the town of David a Savior has been born to _______; He is the Messiah, the Lord. Every name of every person on earth could be placed in that scripture and it would still be true. If you have not accepted Jesus’ gift of eternal life, please don’t delay. Pray and tell Him that you believe He died on the cross to pay the penalty for your sin. Repent of those things you have done that displeased Him. Ask Him to be the Lord of your life, giving you guidance. It’s not too late—–you can pray right now. A Savior has been born—to you. This entry was posted in Bible verses on photos, Inspirational photography and tagged eternal life, Jesus, salvation.